As beautiful and enjoyable as a thriving, luscious garden is, it can also be an expensive and time consuming hobby. However, there are a number of gardening hacks you can employ which mean you won’t need to spend hours every day planting, tilling, watering and weeding. Your bank balance won’t suffer either! Here are 28 hacks to save you both money and time without compromising on the beauty of your garden. Getting organized is one of the first things you should do when you’re looking to save time! This cuts down on the minutes – and sometimes hours – spent in search of a particular gardening item. One way to stay organized is to keep all of your smaller equipment – from trowels to twine – together in a tastefully decorated tool bucket like this one! As it’s easily portable, it will also save you trudging back and forth to the garden shed while tending to your plants. Larger tools like brushes, rakes, shovels and spades can be kept organized and safe in this simple garden tool holder made from reclaimed wooden pallets. Instead of doing a major cleaning of your gardening tools every few months, why not keep them clean and maintained on a regular basis…and with zero effort? This easy DIY self-cleaning and self-sharpening tool bucket does the work for you. Keep your gardening as simple as possible and double the functionality of your rake by converting it into a measuring stick. Simply mark different measurements directly onto your gardening tool – as described here. This brilliant hack takes the two-in-one tool to the next level and means you can cut right down on the amount of tools you need to clean, store and cart around! It’s ideal for those with a relatively small garden as it can be used to rake, hoe, drive stakes, furrow and dig small planting holes. Learn how to construct your own five-in-one gardening tool here. Your gardening tasks will be much easier if you have the right tools. Of course, they can be expensive and take up valuable storage space. But now you can turn everyday items into equipment that will help you become a better gardener! Check out these 25 low-cost or no cost DIY garden tool ideas. Don’t waste precious minutes rifling through packet after packet of seeds in search of your desired plant – get organized and find it in a jiffy! Whether you hang on to the empty seed packet for the information on the back, or need to organize ones which still contain seeds, consider investing in a dollar store photo album. Arrange the packets in the album alphabetically, or by season or plant type, and store it on the bookshelf alongside your garden books – ready to be retrieved in an instant. Although garden pests can cause all sorts of harm to your precious plants, forget about spending your hard earned dollars on toxic pesticides! Whatever pest you are facing, there is a natural solution which you can quickly brew up from a few simple household items like baking soda, garlic, soap or even chili peppers! Even better, many of them can be made in mere minutes, making a trip to the store a waste of time! Here are 10 simple pesticide recipes for you to try. There are also natural steps you can take to repel common pests. 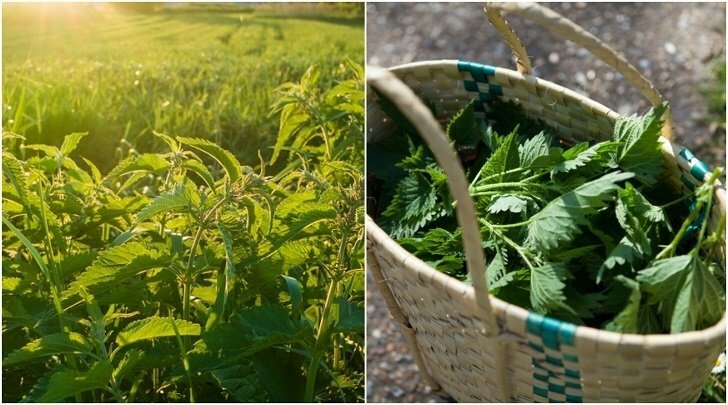 For example, here are six fragrant herbs that repel flies, eight all natural ways to keep slugs out of the garden, and 12 organic ways to get rid of aphids. Whipping up your own natural and organic fertilizers is both easy and inexpensive. Try out these 10 natural fertilizer recipes using everyday items from the home – your plants and your pocket book will thank you for it! Many busy gardeners don’t have the time to water their plants as often as required, especially during the height of summer. If this sounds like you, then why not implement an automatic watering system? Whether you choose to install this one – made from plastic bags and thread; or this even easier wine bottle waterer, you’ll be glad you did! While buying already established plants is a quick and easy way to begin a garden, it can cost several times the price of growing from seed – which isn’t all that difficult. Starting seedlings also means you’ll know what has gone into your plant at every stage of the process, ensuring it is truly organic. Pick up some packets of seeds and then check out these 7 ways to make homemade seed starter pots – all from recyclable and biodegradable items. Not all plants need to be grown from seed – some can even be propagated from cuttings! In fact, rooted cuttings are often sturdier than seedlings, mature faster and even bear flowers and fruits sooner. They’re also free to boot! From beautiful flowers to tasty healing herbs, here are 25 plants you can start from cuttings. Are you the sort of person who gets bored with their garden easily and has to change things up every so often? If so, this clever ‘pot-in-a-pot’ trick is for you! Simply bury large pots in the soil, and then place a smaller pot containing a flower or plant inside the larger one. When you fancy a change, you can easily remove the smaller inset pot and replace it with another plant. Instead of buying plastic plant markers, choose to upcycle a variety of everyday items to label your crops, flowers and shrubs. Everything from pebbles to wine corks to broken pots can be used to decorate and label your garden. Here are 20 low cost DIY options to choose from. Using rainwater in your garden is both an environmentally friendly and cost-effective measure. It’s also much easier than it sounds to implement and manage! Here’s how you can easily collect rainwater for all your gardening needs. Save both money and time by letting helpful insects do your work for you! Not only will bees pollinate your plants, but other insects will eat those troublesome garden pests. Learn more about attracting bugs and other wildlife to your garden here. Kitchen waste in the garden is a quick and free way to enjoy bigger and better blooms and higher yields of fruit and vegetables. Crushed eggshells make a great fertilizer, a pest deterrent and more. Coffee grounds can be used around acid loving plants like azaleas, hydrangeas, rhododendrons, camellias and roses; while banana skins have a variety of uses. Of course, many other types of kitchen waste can be buried between the plants to offer extra nourishment. Take the lazy way out and leave your grass cuttings on the lawn next time you mow! These clippings break down quickly, maintaining healthy soil and adding extra nutrients – up to 25 % of those that growth removes from soil. Learn more about leaving your grass clippings on the lawn and other uses for clippings. This type of planting involves the positioning of different crops beside each other in order to control pests, encourage pollination, maximize the use of space and to increase the flavor and productivity of food crops. 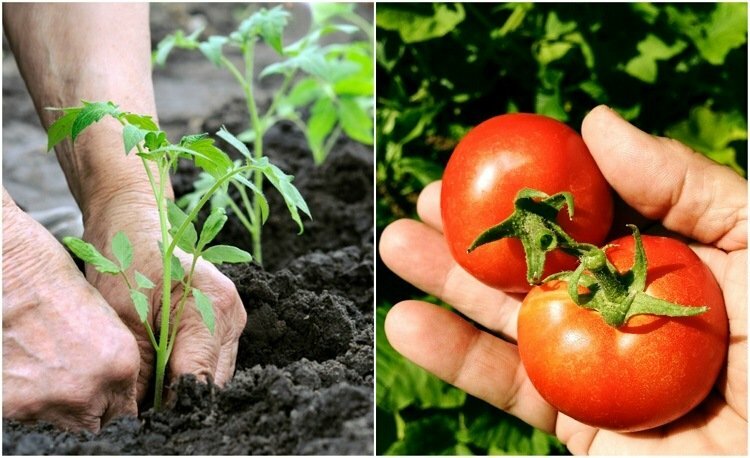 It’s one of the oldest methods of organic farming, and is an amazing time saver as you can sit back and relax, knowing your plants are relatively safe from insects and other pests. Learn some of the best companion planting combinations here. Save money on store-bought compost and cut down on kitchen waste by making your own ‘garden gold’. In order to nurture healthy plants and the tastiest home-grown produce, you’ll need to make a good quality compost – find out how to make the best compost here! Epsom salts don’t just ease sore muscles – they’re a cheap and convenient garden tool which can boost seed germination and nutrient absorption, prevent leaf curling, encourage richer green leaves and improve the flavor of fruits and vegetables. Learn more about using Epsom salts in the garden. When it comes to gardening, essential oils live up to their name – they’re pretty much indispensable! Apply them to attract pollinators, repel vermin and pests and discourage pets from defecating in your flower beds – among many other uses. Want a new plant bed but don’t have the time to dig up an area of grass? An eco-friendly alternative – not to mention a cost-effective and almost effortless one – is to use cardboard to smother the grass. While this process takes at least one month, it requires no work on your part. Learn more here. Those with poor quality soil (or none at all!) can save money purchasing decent soil or making costly amendments by embracing straw bale gardening. It’s a huge time saver as well as there is no need to till the land, transport soil and compost, construct raised beds or dig for root vegetables. Weeding is also a cinch. Here’s all you need to know about straw bale gardening. Rather than spending a fortune on new garden furniture, why not upcyle what you have? Although many upcycling projects can involve considerable time and effort, others take just minutes yet look incredible. Discover how to turn old boots into planters and tea cups into birdfeeders. One of the simplest, yet most important, things you can do for the health of your plants is to mulch them. Mulching prevents moisture loss, stops weeds from growing, helps soil fertility and improves the overall appearance of the garden. You don’t need to spend much money or time mulching – it can be as simple as layering on some grass clippings, pine needles, wood chips or shredded leaves. When choosing your mulch, consider your soil’s pH needs. Simply divide your garden perennials into two in order to create a second plant, which can be replanted on its own! Do this with a $10 plant divided into four pieces and you will enjoy an incredible 300% return on investment. Many perennials – like daylilies, iris and hostas – can be divided every three years. Find out more about dividing your plants here. Good gardeners don’t just need a knowledge of how to grow fruits and vegetables, they need to know how to store and use them after harvesting too! In fact, knowing what to do with your bounty is vital in order to save money and make your gardening efforts worthwhile. Options include freezing, drying, canning, pickling or making jams and jellies. Whatever you choose to do, don’t let your harvest spoil! Those with an herb garden will want to check out these 11 tips for harvesting and preserving fresh herbs.